Manufacturer of a wide range of products which include visual photometer lobibond colours. 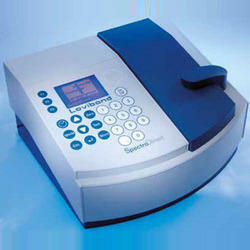 The Lovibond visual and automated colour measurement instruments (spectrophotometers for transmission and reflectance; colorimeters and colour comparators) are synonymous with accuracy in the analysis of liquids and solids including: edible, industrial & fuel oils, chemicals, pharmaceuticals, beverages & foodstuffs. Looking for Lovibond Water Testing Equipments ?